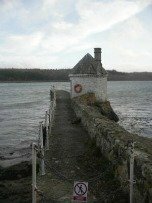 I HAVE CREATED THIS PAGE OF ANGLESEY COASTAL LINKS TO THE ADMIRALTY EASY TIDE WEBSITE FOR THOSE OF YOU WHO ARE ALWAYS TYPING IN KEYWORDS REQUESTING TIDAL INFORMATION. The tide timetables that you find below are collections of technical data representing values in Mathematical Models. Tide Timetables do not supply you with information about the impact of strong, directional winds that can create unstable and occasionally very dangerous conditions. Prevailing and Localised Weather conditions should ALWAYS be taken into consideration. Also, remember that the West Coast of Anglesey can be subject to large waves created by the Ferries regularly moving in and out of Holyhead a couple of times each day. YOU HAVE BEEN SUITABLY WARNED! Daylight Saving Warning: EasyTide predictions are based on the standard time of the country concerned. For the UK this is GMT. (from 02:00 am on Sunday 25th October 2009 until 01:00am on Sunday 28th March 2010). 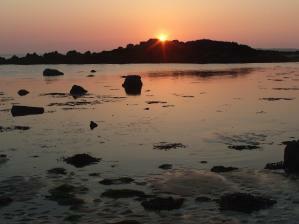 You'll find Amlwch on the north east coast of Anglesey. It is a small town situated directly below Parys Mountain, a weird and almost alien landscape that is testimony to the appalling suffering of the local community down the centuries. Amlwch people have now employed historical irony to turn this on its head. They have created a wonderful visitor experience on the mountain and a visitor centre down in then old Porth Amlwch (Amlwch Port). 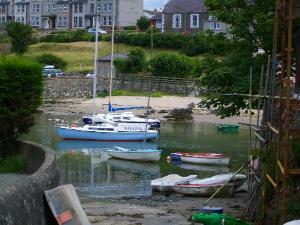 Amlwch is famous among boat and shore fishermen. A very colourful town near the far eastern end of the Menai Straits, blessed with an equally colourful history and Beaumaris' Edwardian Castle. Very popular with fishermen who like to dangle their poles off the pier. Fishing trips can be booked at the very competitive booths at the pier entrance. Stan's your man. Enjoy an ice-cream while you make your mind. QUESTIONS TO ASK? NEWS TO SHARE? 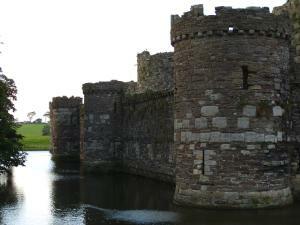 Maybe you have questions you want to ask in advance of your visit to Anglesey? Please feel free. 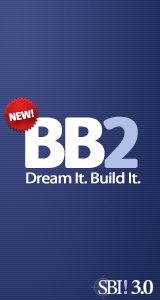 ASK YOUR QUESTION or SHARE INFORMATION by CLICKING HERE. Look at the map of Anglesey, at the top north west and you'll find a nuclear power station and to the right is Cemaes Bay. Click Here. This is an absolutely delightful little holiday village with a couple of beaches and presents you with an astonishingly beautiful stretch of the Coastal Path. 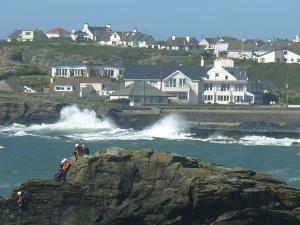 Cemaes will remind you a bit of villages like Polperro and Polruan down Cornwall way. 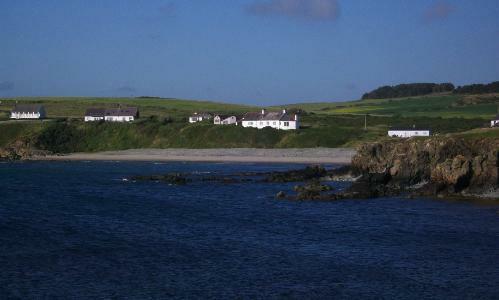 Great for a bit of novice surfing and some great fishing off the Llanbadrig Ledges to the right of the village by the old St Padrig Church on the right hand headland. Near the vinyard (YES!). I'll have to process a few pictures of Holyhead for you. Holy Island as it is also known. Or even Ynys Cybi, after St Cybi. More? The Welsh name is Caergybi. Holyhead is a ferry port for the Irish route, taking you to either Dublin or Dun Laoghaire by Stena or Irish Ferries. Most fishing occurs off the Holyhead Breakwater. If you're fishing into the marina side then you'll usually have the company of a very fat and patient seal. He might look stupid, but he's not. You could also dangle your rod off the quayside at Turkey Shore. Llanddwyn Beach and Llanddwyn Island are on the very western end of the Menai Straits. For information about the beach and facilities Click Here. By the way that's Llanddwyn Island in the distance, as seen from Llanddwyn Beach. A great deal of fishing goes on here. Especially great for Mackerell Bashing in Summer. Crossing to the Llanddwyn Island can be straightforward. However, if you don't make use of the tide table link below it all gets a bit dicey and you could end up stranded. These are occasions when you discover you've not brought enough sandwiches with you. Gateway to Anglesey. The square green below the bridge is a very popular fishing spot as the tide turns. Taking great care you could cross the Thomas Telford's bridge road and glance down and along the Menai Straits where a great deal of shore fishing takes place. St Tysilo's Island is very popular and is easily accessible from the Belgian Promenade. I used carry out Marine Surveys along the Straits. The stretch between here and the Britannia Bridge can be ridiculously dangerous. The size of the tide and the standing wave can really get the heart thumping. See the yellow fixed buoy between the bridges? That's a bit exciting in a zodiac inflateable when the tide turns. I love Moelfre and wandering along the historic coast ledges north toward Lligwy Beach in the foulest weather makes that history real. This is where The Royal Charter went down in 1859. One hundred years and a day later Coxswain Dic Evans and his crew of three heroes pulled off an astonishing rescue of the Hindlea. It was right on the rocks and the lifeboat heroes would not back off until the rescue was achieved. Excellent ledge fishing in front of the Royal Charter Monument. On Holy Island on the west coast of Anglesey. In fine weather, the coastline is really, really Mediterranean in spirit. 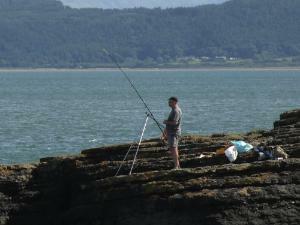 Excellent rock fishing all along this coast and up North to Mackerell Rock by Porth Dafarch. Sprited bad language confirms this area as Doggie Heaven (dogfish, that is). 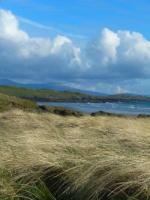 Head south and you'll come to Rhoscolyn and Silver Bay. Fabulous beaches and great fishing along this low-lying coastline. READY TO GIVE UP THE BORING DAY JOB? I am and I'm working toward that ambition. But I know what I'd rather be doing rather than work for someone else. 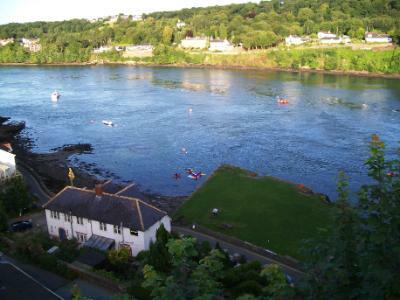 Return from Anglesey Tide Timetable to HOME PAGE.